I've made my choice. I'm going with a strong Pale Ale from the 1950s. 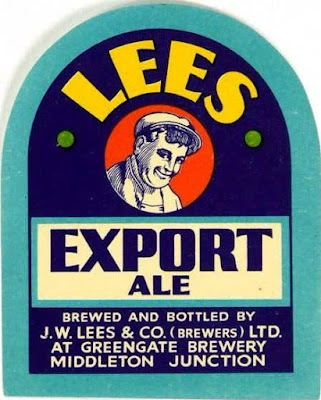 I’m not sure when Lees first introduced Export, but I doubt it’s much earlier than when this beer was brewed. 29th May, if you’re interested. What was this beer? A strong draught Bitter? A special bottled Pale Ale? No idea. One thing I’m pretty certain of: it wasn’t really exported. Lees was a small. Locally-oriented concern. They weren’t shipping beer outside the UK. I doubt it got much further than Manchester. The FG is a total guess as the brewers at Lees couldn’t be arsed to note it down. All I know about the hops is that they were English and there’s no mention of dry hops in the brewing log. Quite a bit of guesswork, then. 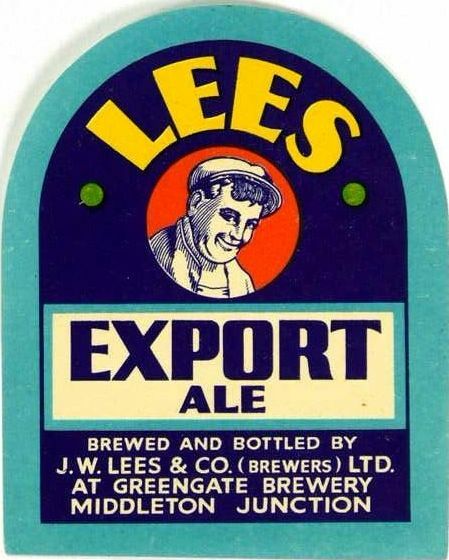 As with all Lees beers, it contained a cocktail of sugars. Only three in this case: 0.5 invert, 1 C.W.A., 0.5 HX. I’ve substituted No. 2 invert. All I know about the hops is that they were English from the 1956 and 1957 crop.